SMOOTHIE BOWLS = HEAVEN IN MY MOUTH! This is a great breakfast that can be made the night before. I pour it into a Pyrex bowl and put the toppings into a sandwich bag. No excuses for not starting the day right! 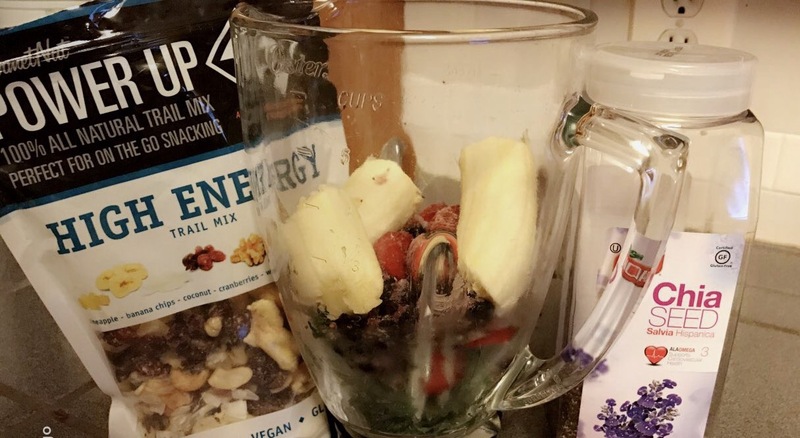 I have loved smoothies for a long time, but the bowl gives it a whole new level and the toppings create more texture and make it seem more meal-like…. And it tastes AMAZING! Blended kale, carrots, strawberries, blueberries, chia seeds, banana, and a splash of coconut milk. 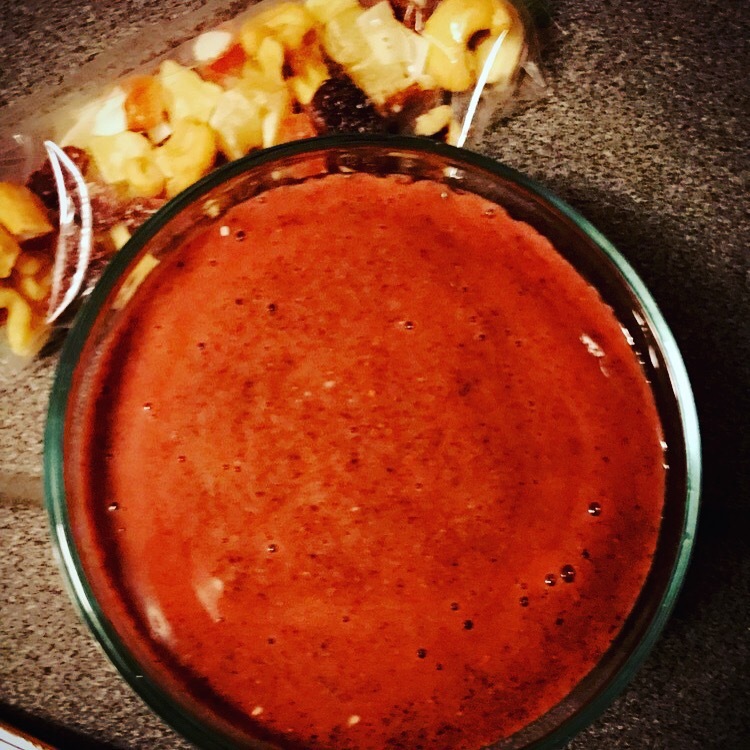 Top with dried pineapple, coconut, banana chips, cranberries, papaya, walnuts, and cashews! Heaven in my mouth! *all of my toppings are an organic mix I buy at Marshall’s… yes, Marshall’s! It’s my absolute favorite store! That have so many organic/healthy snacks!!! Previous Previous post: Berry Water Kefir = PROBIOTIC SUCCESS! Next Next post: AMAZING Avocado Salad!